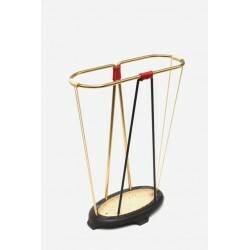 Original umbrella stand from the 1950's. 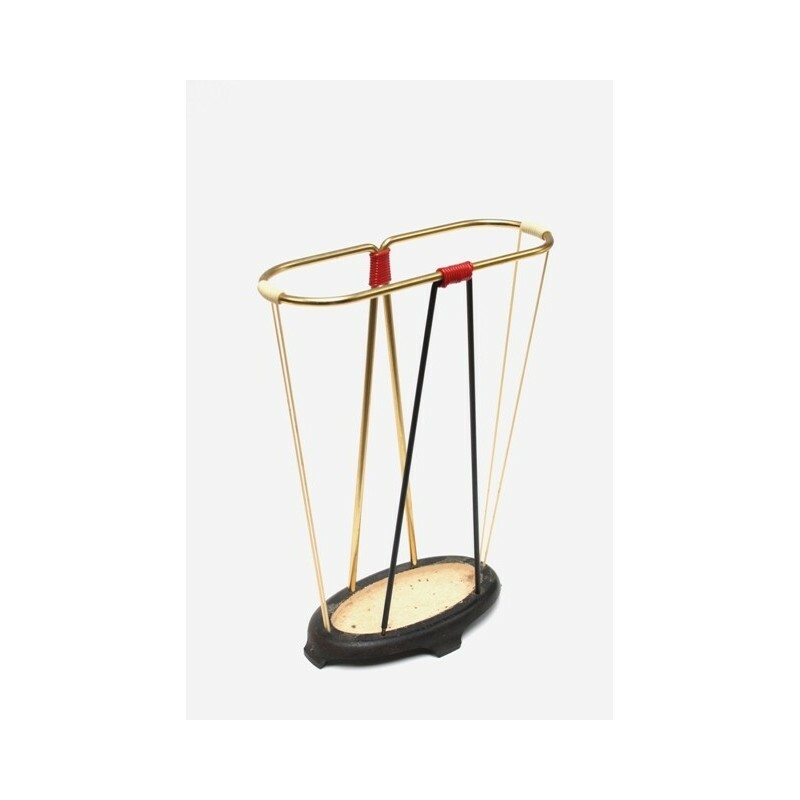 On a nice heavy base and brass colored frame decorated with red and white wire. The standard is in good condition, especially considering his age. The size is 31 cm L / 11 cm W/ 41.5 cm H.